As many Australian employers are unfamiliar with the processes and requirements for internships, the quality of internships is however not up scratch. This builds the case for internship program providers, such as Dream Internship, who specialize in helping host companies manage quality programs. We have an increasing number of applications for accounting and engineering internships Australia wide, and although we have many host companies on our database, we need more mentors and roles to fill. An Albrecht and Sacks survey of 700+ accounting professionals (2000) indicated that internships are the best out-of-classroom learning activity. 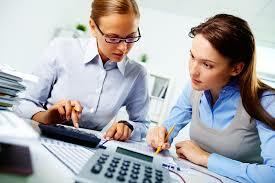 Accounting firms are more likely to hire young people who have had an internship experience than those who have not. The greatest benefit of accounting internships is exposing students to accounting techniques and elements of the business world not commonly found in the classroom. Through this exposure students would have a better perspective of future classroom experiences after they returned to the classroom, which also means that it is better for the student to participate in an internship program before they finish their degree. Educators report that student motivation for accounting topics increased after an internship experience, this is because the experience clarifies points of theory which make the experience more meaningful. Knechel and Snowball (1987) and Siegel and Rigsby (1988) found a significant increase in performance in interns compared to non-interns. In terms of learning, it is well known that engagement increases motivation (Robinson 2009). Increased motivation affects both well-being and interest, which could mean that such practical learning as an internship increases work performance and enjoyment later on in their careers. Anyone looking an improving organisational management know that organisations desire engaged and high performing employees who enjoy their work and want to come to work every day. We also know that more than 50% of employees when surveyed say that they don’t enjoy their work, so if we can improve these numbers early on in peoples careers before bad habits and negative work attitudes set in, let’s go for it. I doubt an internship alone will create the solution to all workplace issues, but isn’t it better to prepare people early rather than later? Many top employers use internships to attract the best talent, and so should SMB’s, Not-for-profits and start-up’s. Internships are the most cost-efficient way to ‘test’ possible future employees which otherwise could end up being an affair too costly with new hirees usually requiring 3 months training and all too often end up being a non-fit. Smaller companies may not have HR departments available to handle internship programs, so the better option would be to hire internship program providers who can arrange successful internship programs that also create learning opportunities for students and employer branding for the organisations. Although internships are important in all fields of study, I’m building the case for accounting internships here for a reason. In the last two years we have found that accounting students (as engineering students) face a different challenge from most other students, at a different stage of the hiring process. Our research tells us that accounting and engineering students use different strategies when applying for work and internships. Where their left brains otherwise give them an advantage, quantitative measures don’t apply in job search. When interviewing interns within many fields of study, Accounting and Engineering interns more often responded that they believed that ‘the more jobs they applied for, the more likely it was they would find work’. Although most students incorrectly applied a ‘carpet bombing’ strategy sometimes applying for more than 200 jobs in a week, accounting and Engineers were more likely to apply the strategy and increase the number of applications than other students. Whilst such a method may seem rational, it is not. Here we see a classic misconception, and a strong argument for teaching communication and soft skills to all undergrads. Although we find many accountants with excellent communication skills, it is not the norm and it doesn’t compare to that of communications professionals. So, if you are an accounting student, make sure you increase your network immediately, perhaps by connecting with communications students. And don’t forget to reach out to accounting firms early, even smaller firms, so you can start testing your technical skills early and prepare for a more engaging and fun future career.